"Old Masters" redirects here. For other uses, see Old Masters (disambiguation). 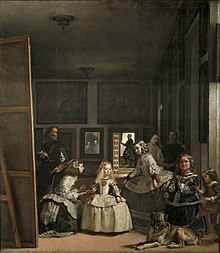 In art history, "Old Master" (or "old master") refers to any painter of skill who worked in Europe before about 1800, or a painting by such an artist. An "old master print" is an original print (for example an engraving or etching) made by an artist in the same period. The term "old master drawing" is used in the same way. In the eighteenth and nineteenth centuries, the term was often understood as having a starting date of perhaps 1450 or 1470; paintings made before that were "primitives", but this distinction is no longer made. The Oxford English Dictionary defines the term as "A pre-eminent artist of the period before the modern; esp. a pre-eminent western European painter of the 13th to 18th centuries." The first quotation given is from 1696, in the diary of John Evelyn: "My L: Pembroke..shewed me divers rare Pictures of very many of the old & best Masters, especially that of M: Angelo..,& a large booke of the best drawings of the old Masters." The term is also used to refer to a painting or sculpture made by an Old Master, a usage datable to 1824. 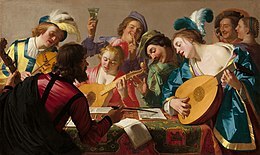 There are comparable terms in Dutch, French and German; the Dutch may have been the first to make use of such a term, in the 18th century, when oude meester mostly meant painters of the Dutch Golden Age of the previous century. Les Maitres d'autrefois of 1876 by Eugene Fromentin may have helped to popularize the concept, although "vieux maitres" is also used in French. 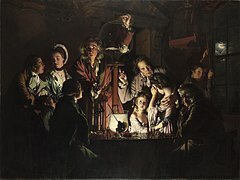 The famous collection in Dresden at the Gemäldegalerie Alte Meister is one of the few museums to include the term in its actual name, although many more use it in the title of departments or sections. The collection in the Dresden museum essentially stops at the Baroque period. The end date is necessarily vague – for example, Goya (1746–1828) is certainly an Old Master, though he was still painting and printmaking at his death in 1828. The term might also be used for John Constable (1776–1837) or Eugène Delacroix (1798–1868), but usually is not. Artists, most often from early periods, whose hand has been identified by art historians, but to whom no identity can be confidently attached, are often given names by art historians such as Master E.S. (from his monogram), Master of Flémalle (from a previous location of a work), Master of Mary of Burgundy (from a patron), Master of Latin 757 (from the shelf mark of a manuscript he illuminated), Master of the Brunswick Diptych or Master of Schloss Lichtenstein. Robert Campin (Flemish, 1375–1444), Northern Renaissance artist who painted the "Mérode Altarpiece"
Charles-André van Loo (French, 1705– 1765) 18th-century historical painter of portraiture, religion, mythology, allegory, and genre scenes. ^ The term is spelled either way in the literature. Major UK and US dictionaries, incl. the Oxford Online Dictionaries, American Heritage Dictionary, Macmillan, Cambridge, and Random House dictionaries use lowercase; Oxford English Dictionary, Collins, and Merriam-Webster dictionaries also mention the uppercase spelling. ^ a b c Old Masters Department, Christies.com. ^ a b "old master, n. and adj." OED Online. Oxford University Press, December 2016. Web. Why do we still pay attention to Old Masters paintings? a conversation between Keith Christiansen is the John Pope-Hennessy Chairman of the Department of European Paintings at New York’s Metropolitan Museum and The Easel's Morgan Meis, Contributing Editor of The Easel.